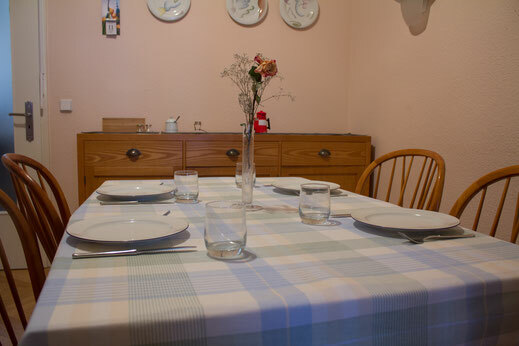 A Home far away from Home - residential offer - jugendkulturzentrum-scones Webseite!  As a way to empower youth, Sconenberch wants to offer a friendly and familiar atmosphere in one of the nicest neighborhoods of Berlin that helps young students to develop their professional and personal careers. Like a 'home away from home' for them. 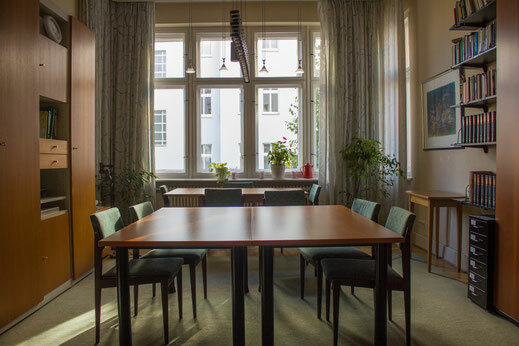 In addition it offers the students the opportunity to live in an international environment. Sharing day-to-day moments with other girls with a different cultural and personal background . 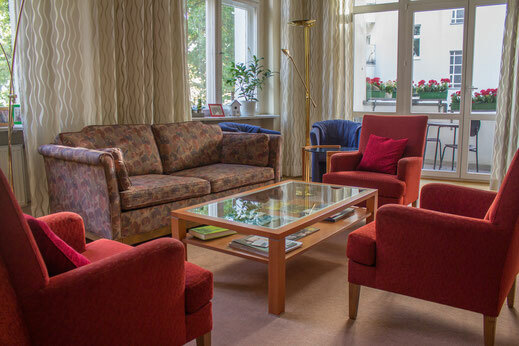 In this cosy living room you will feel like home in your city Berlin. It's also the perfect place to get to know your other flatmates. 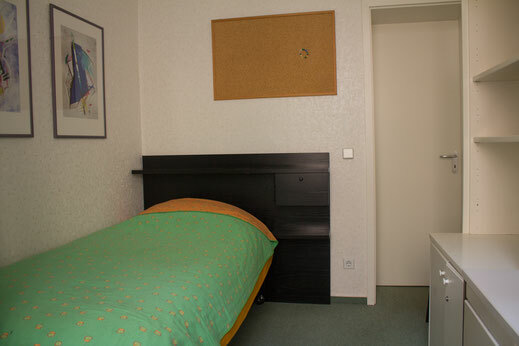 Individual rooms with bathroom, between 375,- and 425,- Euros a month. 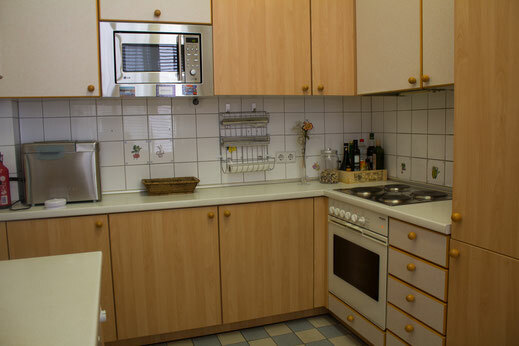 It includes: Kitchen, living room, study room, dining room, chapel, WLAN, telefone, heating costs. 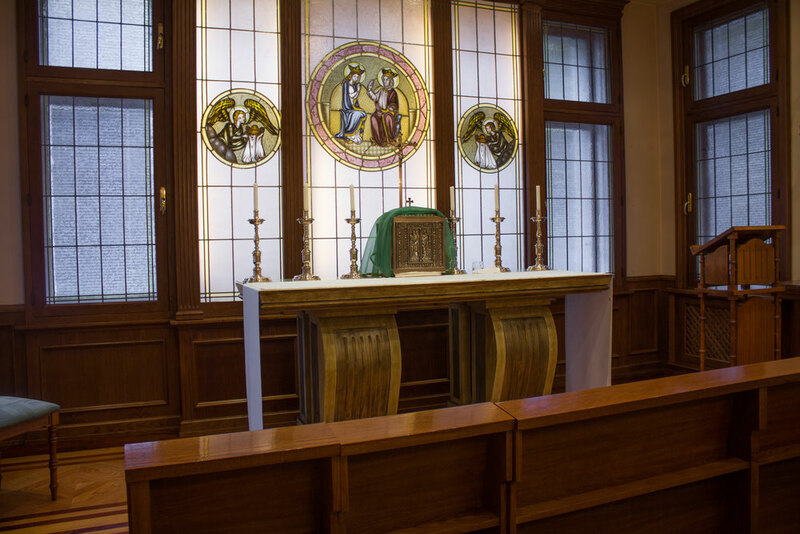 Each Friday takes place a meditation with suggestions to personal prayer. When you have had a long day, how nice is to come home, have dinner with your friends, tell them how your day went and also asking them about their day. Here you will found everything you need to prepare the dishes you want, whether you like to bake cookies, cupcakes or to prepare a traditional dish from your country. 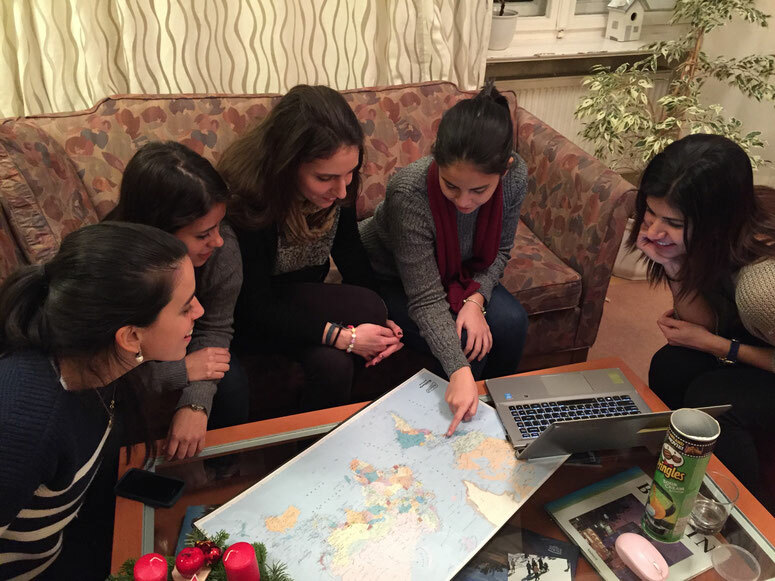 We don't only want you to have a great time in Berlin but also to be a great student. That's why you have also an awesome study room, where you can prepare successfully your exams and also invited friends to learn together.